Thomas "Tom" D. Mistretta, a native to the Hickory Pennsylvania Area, graduated from Palmer College of Chiropractic in Davenport, Iowa in 1964. 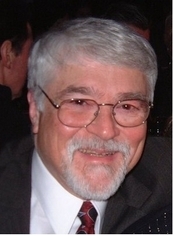 Dr. Tom, as he was known to patients, practiced chiropractic medicine in the Sharon/Hermitage area since 1964. "Support and Effect a transformation in the health of as many people as humanly possible in his lifetime, naturally, through chiropractic care. As well as to educate people, so that they in turn could educate others as to what we do and what chiropractic is." We continue to do what Dr. Tom and all of our doctors believe in; provide the patient with the quality care that they need and provide the information on how they can live a healthier and happier life. "Why I am a Doctor of Chiropractic"
Because I know its Right.